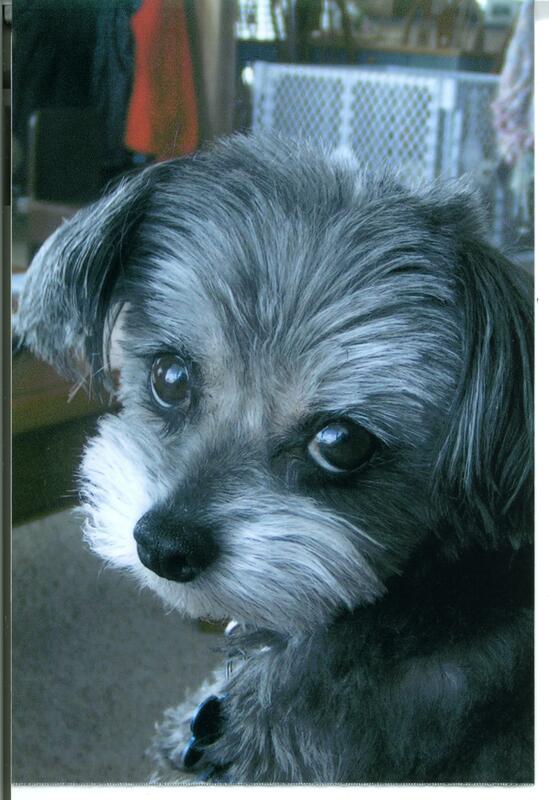 I had to have my beloved Maltese/Shih Tzu cross put to sleep two weeks ago. Simply put, she was the light of my life from the day she entered it till the day she left. At twelve years old, she was by no means old for a small dog. We should have had at least three or four more years together. Who am I kidding? Four years from now, I wouldn’t have been any more ready to let her go. The stickler, though, is having to decide when she should die, and the whole process has left me with more questions than I know what to do with. Is it while they still have their dignity? Do dogs even know what dignity means, or do they accept all that life throws at them with the same singleness of purpose? Where is it written, and by what great authority, that humans have the omniscience to dare to make such a decision? In the end, my precious little girl stopped eating, and I suppose I could have watched her waste away. So, by ending her life, did I stop her suffering…or mine? I would have given her anything if it were in my power…good health…many more years. When it really mattered, all I could give her was death. Which brings up the most important question of all. Where do ‘cute little bad girls’ go when they die? Do they cease to exist, mere soulless creatures, as many of our evangelical brothers and sisters propound? Just one more question I don’t know the answer to, and maybe I don’t want to. Maybe it’s better to go on believing she’s sitting in the shade somewhere, under a huge cottonwood tree and a glorious blue sky with a warm breeze ruffling her little ears, waiting for me. I just hope she’s not disappointed in me. So…when is the right time? This entry was posted in Uncategorized and tagged Billy Graham, Breeds, Dog, Pet, Recreation, Shih Tzu, Tipper, Tzu. Bookmark the permalink. 3 Responses to When is the right time? No more blogs for you! I know you know this, but it was the right time for her. And I don’t care what anyone says, if there is a God in Heaven, in some way we will have time with all that we love, including Tipper. Dixie, so sorry for your loss. Losing a loved one is never easy. A few years back Julia and I faced the same dilemma with our dog, Zaibas. He was a lab retriever mix given to me as a surprise gift one Christmas from my now departed sister. When Zaibas’ day came, and I knew it would some day, I dreaded it because not only did I love him dearly, he was a buddy who always went with me everywhere I could take him, but losing him also hurt because he was a connection to my sister Gaile and now I was losing that connection. In the end we just took him in because we felt he was suffering and we shouldn’t prolong his agony just because we didn’t want to let go. So DIxie I think you can take heart that you were able to let Tipper go when the time came, and gave her a chance to die with dignity and not prolong her agony. May time and memories soften your loss. Saulius – knowing how hard it was for you to tell your story, and knowing that you did it in order to lessen my pain, it touches me deeply. Tipper will always have a very special piece of my heart, as I’m sure Zaibas will yours for all of the reasons you mentioned. I love the way you said it – ‘May time and memories soften your loss.’ That’s exactly what I hope for. Thank you, Saulius.